Metabolic synthesis of single cell oils (SCOs) for biodiesel application by heterotrophic oleaginous microorganisms is being hampered by the high cost of culture media. 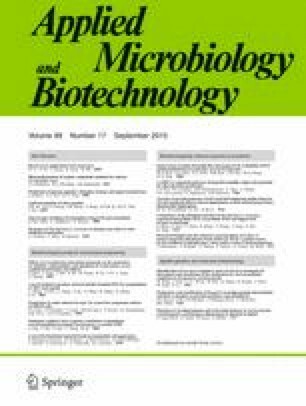 This study investigated the possibility of using loblolly pine and sweetgum autohydrolysates as economic feedstocks for microbial lipid production by oleaginous Rhodococcus opacus (R. opacus) PD630 and DSM 1069. Results revealed that when the substrates were detoxified by the removal of inhibitors (such as HMF—hydroxymethyl-furfural), the two strains exhibited viable growth patterns after a short adaptation/lag phase. R. opacus PD630 accumulated as much as 28.6 % of its cell dry weight (CDW) in lipids while growing on detoxified sweetgum autohydrolysate (DSAH) that translates to 0.25 g/l lipid yield. The accumulation of SCOs reached the level of oleagenicity in DSM 1069 cells (28.3 % of CDW) as well, while being cultured on detoxified pine autohydrolysate (DPAH), with the maximum lipid yield of 0.31 g/l. The composition of the obtained microbial oils varied depending on the substrates provided. These results indicate that lignocellulosic autohydrolysates can be used as low-cost fermentation substrates for microbial lipid production by wild-type R. opacus species. Consequently, the variety of applications for aqueous liquors from lignocellulosic pretreatment has been expanded, allowing for the further optimization of the integrated biorefinery. Z. Wei is grateful to the China Scholarship Council for awarding a scholarship under the State Scholarship Fund to pursue her study. This work will be used by Z. Wei for partial fulfillment of the degree requirement for her doctoral research at the College of Environmental Science and Engineering, Hunan University, Changsha, China. We also wish to acknowledge DOE (EE0006112) for their support via Synthetic Design of Microorganisms for Lignin Fuel, and Synthetic Design of Microorganisms for Lignin Fuel, the National Natural Science Foundation of China (51039001, 51378190) and the Program for Changjiang Scholars and Innovative Research Team in University (IRT-13R17).